You are receiving this because you are a member of an OBCI signatory group, or signed up to receive our newsletter. 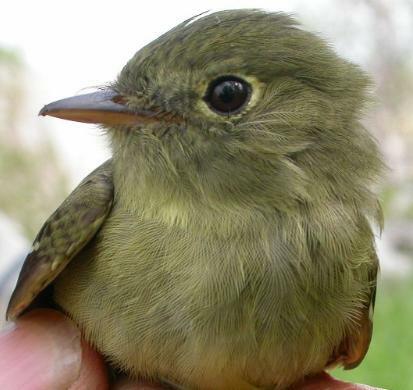 Below you will find news about OBCI projects and bird conservation efforts in Ohio. This past year has been one of exciting accomplishments and significant progress for the Ohio Bird Conservation Initiative. As OBCI grows and becomes more active, we are exploring ways to strengthen our organization to best serve our membership and conserve Ohio's birds. The complexity of OBCI's governance structure had become a hindrance to our ability to effectively build partnerships for bird conservation. A recent vote by our Coordinating Council adopted new operating procedures that call for the formation of a single steering committee, replacing OBCI's current coordinating council and executive council. It is our belief that this simplified structure will allow a greater number of member organizations to take on a more active role in OBCI's decision-making process. Like us on Facebook or visit our webpage for updates on the webinar schedule. Have an idea for a webinar topic? Share your ideas by emailing obcicoordinator@gmail.com. Just ahead of the March 15th spring start date for Lights Out Columbus, enrollment in the program has reached 10 buildings! Newly enrolled buildings include Grange Insurance corporate headquarters, the William Green Building, and the Renaissance Columbus Downtown Hotel. To learn more about Lights Out Columbus, please visit the Lights Out Columbus website. OBCI has partnered with the Ohio Division of Wildlife, Ohio State University (School of Environment and Natural Resources, and Terrestrial Wildlife Ecology Lab), The Nature Conservancy in Ohio, Ohio Department of Natural Resources, OSU Extension, and the Ohio Biodiversity Conservation Partnership to design and illustrate a guide written by Amanda Rodewald entitled "Managing forest birds in Southeast Ohio: A Guide for Land Managers". 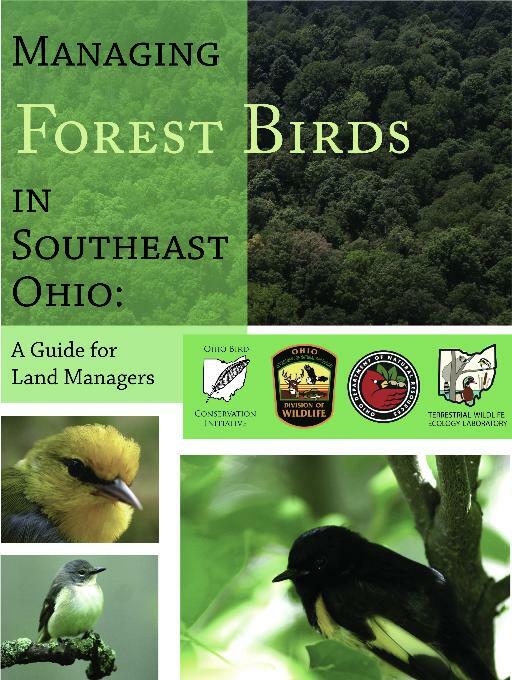 This guide is written for land managers seeking to improve habitat conditions for forest birds. Recommendations are based on research conducted in the forested landscapes of southeast Ohio by The Ohio State University and Ohio Division of Wildlife. A full-length guide and a summary of management recommendations are both available at our website. Hard copies are also available at no cost by contacting obcicoordinator@gmail.com. Printing made possible by The Nature Conservancy in Ohio. To see additional updates on OBCI projects, please visit our website. OBCI is happy to welcome the American Kestrel Partnership as a new partner! Launched in response to kestrel population declines across much of North America, The Peregrine Fund’s new American Kestrel Partnership is a network of citizen and professional scientists working to collaboratively advance kestrel demographics and conservation. Anyone can join the Partnership by creating a Partner Profile on the website, whether you are simply curious about kestrels, work as a professional researcher, already maintain or want to develop a nestbox program, or want to donate to or sponsor the Partnership. To directly participate in the research process, you can build/buy, install, and monitor one or more kestrel nestboxes, and then enter your nestbox monitoring data through your Partner Profile on the Partnership website. The Partnership recently supported OBCI and Ohio Ornithological Society's American kestrel nest box trail project by providing funding to construct 50 nest boxes. For more information on AKP’s program and how you can participate, please visit kestrel.peregrinefund.org. A fun weekend of environmental educational programs for adults and youth alike! Help Fund our kestrel box monitoring program! This breeding season, 3 students have volunteered to monitor our recently installed highway nest boxes for American kestrels. Please donate to help us buy the safety and monitoring equipment our volunteers need! Support the Conservation of Ohio's Wildlife and its Habitats! Show your support for Ohio Wildlife by purchasing this year's stamp for $15. Stamp sales support habitat restoration, protection, endangered and threatened species conservation, and much more. Purchase the stamp here, or by calling 1-800-WILDLIFE. Would you like your organization to be our next featured partner, or do you have an item that you would like to be included in our next quarterly newsletter? Please email obcicoordinator@gmail.com. Photos are welcome, but not required. Copyright © 2013 Ohio Bird Conservation Initiatve, All rights reserved.